Basco is a relative newcomer, with previous roles in Grey’s Anatomy, Happyland, Veep, and Superior Donuts. In the comics, Cassandra was the daughter of two assassins: David Cain and Lady Shiva. David raised his daughter to understand body language and violence at the expense of her verbal and social skills. She was largely mute, but an incredibly effective fighter. Cassandra rejected her father’s legacy, and became Batgirl. Currently, Cassandra’s heroic code name is Orphan. Birds of Prey will focus on Margot Robbie’s Harley Quinn, a role that she originated in Suicide Squad. Mary Elizabeth Winstead co-stars as Huntress, with Jurnee Smollett-Bell as Black Canary. Rosie Perez is playing Gotham City police detective Renee Montoya, and Ewan McGregor is portraying Black Mask. Chuck Dixon and Jordan B. Gorfinkel created the Birds of Prey comic in 1996. It featured former Batgirl turned Oracle, Barbara Gordon, as she remotely assisted Black Canary on secret missions. Over time, the team grew to include the Huntress and other heroines. However, Harley Quinn was never a member. Cassandra Cain’s only connection to the BOP is that Barbara Gordon was her mentor and guardian. Cathy Yan is slated to direct Birds of Prey, which is expected to begin filming in early 2019. It will be released in theaters on February 7, 2020. 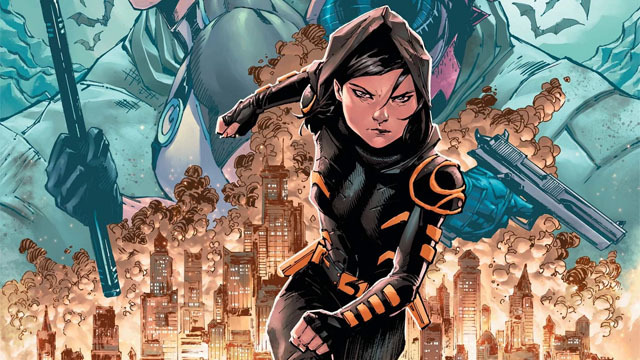 What do you think about Ella Jay Basco as Cassandra Cain? Let us know in the comment section below!